Duzão in the ultra-heavy final. 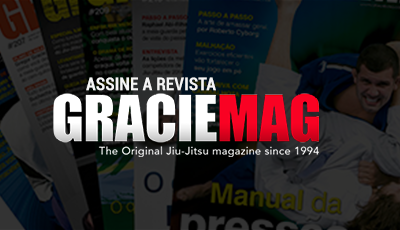 Carlos Arthur Jr.
“I keep the story you guys wrote about me at blue belt to this day!” said a genial Eduardo “Duzão” Lopes to the Graciemag reporter before going for the kill in the 2019 Rio Fall Open’s absolute division. 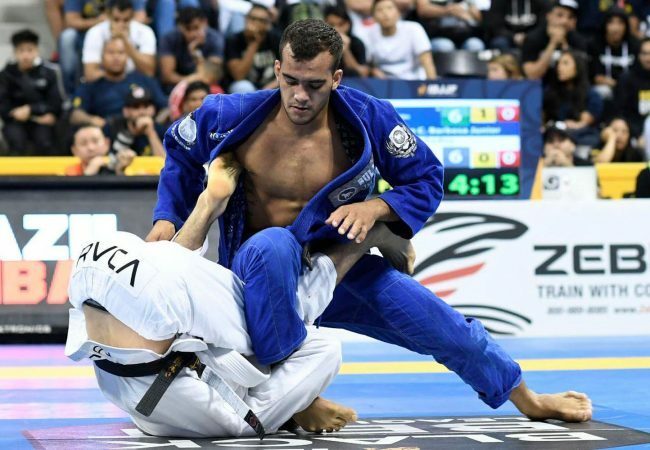 The Guigo Jiu-Jitsu representative stood out at the event held this Saturday, April 6th, at the Barra da Tijuca Olympic Park. After doing a great job in the ultra-heavy division, with good-looking takedowns and finishes from the top, Duzão did the final against Herico Hesley (Kimura), whom he beat with a guard pass. Then, in the absolute, Duzão made his way until meeting NS Brotherhood’s Wellington Alemão, the middleweight champion, in the semifinals. Having gotten over the scare of almost being swept right at the start, Duzão imposed his powerful top game and pulled off an ezequiel. 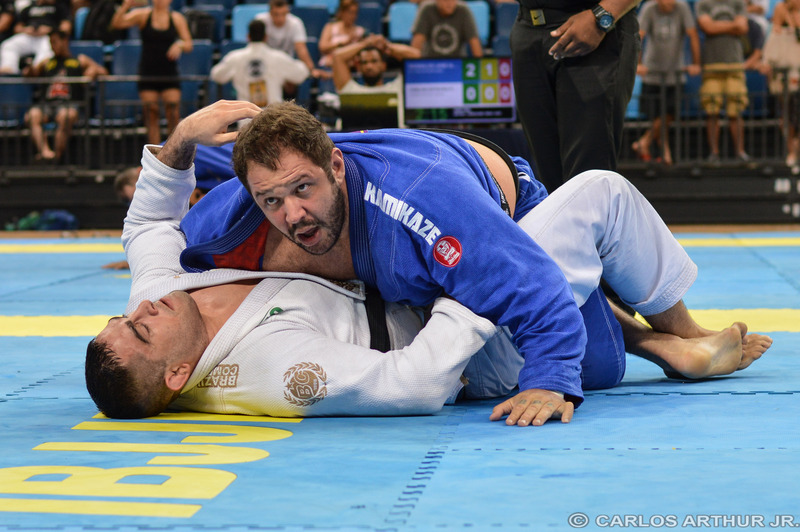 Then Kitner Mendonça, his fellow finalist, walked away, leaving him with absolute gold. Cláudia do Val first grabbed gold in the heavyweight division, unopposed, and almost missed the sign-up window for the open division. That was due to granting a bunch of requests from audience members wanting to take pictures with her. “I want to be very famous!” she quipped, posing for the last photo before she ran off. 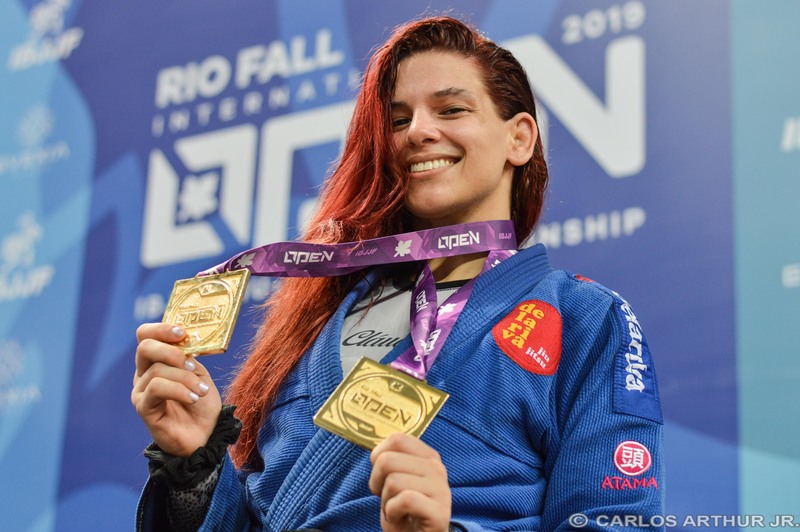 After armbarring Mayra Mazza in her first match, Claudinha went to war with Rafaela Bertolot (GFTeam), who held a 2-2 tie until the De la Riva athlete swept with an omoplata, putting the score at 4-2 and making it a double-gold weekend for her smiling self. Claudinha do Val at the 2019 Rio Fall Open. 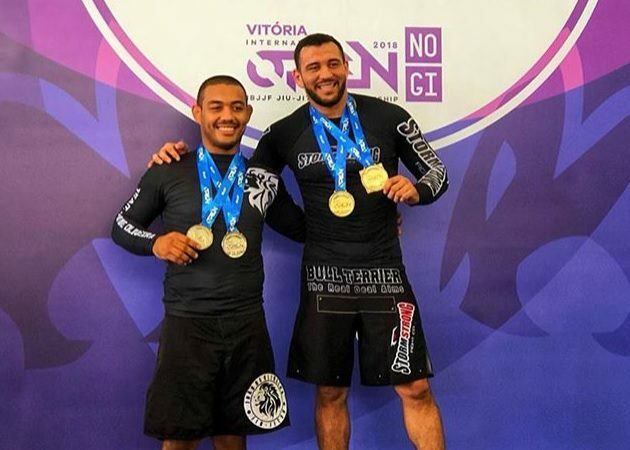 Carlos Arthur Jr.
Also noteworthy were champions João Carlos Oliveira (Kronos BJJ), Ygor Rodrigues (Team MR) and Matheus Felipe “Tá Danado” (CheckMat/Qatar BJJ). Official results below.